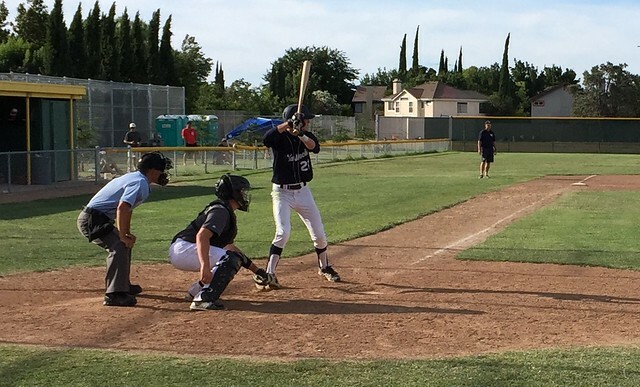 The Walbeck Elite played the Danville Hoots at Bulldog Field in Tracy in the third day of the NorCal NIT Tournament. At the plate, Jack was 0 for 2. In his first at-bat, Jack grounded a 1 and 1 pitch to the second baseman and was thrown out at first. Jack grounded a 1 and 1 pitch to the first baseman in his second plate appearance to start a 3-6-4 double play. In the field, Jack played five innings in centerfield. He had one put-out and handled four other hits to the outfield. Giving up 10 runs in the top of the second, the Elite lost the game by the score of 13 to 3. The scorecard is here. For the summer season, the Elite have a record of 1 win and 4 losses. The game log is here. The Elite will play the Hardtke Braves at Delta College in Stockton on Sunday.